Allergy drops have been used around the world for more than 100 years with many studies showing that they are safe and effective. Allergy drops were used by physicians before they used allergy shots. There has never been a life-threatening reaction reported from La Crosse Method™ Protocol sublingual immunotherapy (SLIT) treatment. The La Crosse Method has been in clinical use since 1970. The La Crosse Method is unique from other allergy treatment protocols. Dosing for each patient is tied directly to allergy testing results, history and exam. Dose adjustments are based on allergy retesting and the patient’s ability to tolerate a higher dose without side effects such as stomach ache or oral itching. With this carefully monitored approach, practitioners using the La Crosse Method have been able to successfully treat the most brittle allergy patients including those with food allergy, asthma, and others not considered candidates for allergy shots or other treatments, including OIT. †Source: Passsalacqua, G., Compalati, E., Canonica, G.W. Sublingual Immunotherapy: Clinical Indications in the WAO-SLIT Position Paper. World Allergy Organization Journal. 2010;3:216-219. Internationally, sublingual immunotherapy is widely used, with full regulatory and government backing. The World Health Organization (WHO) indicated its use in its 1998 position paper. In 2007, for the second time (originally in 2001), an international workgroup that included U.S. allergists published the ARIA (Allergic Rhinitis and its Impact on Asthma) guidelines indicating sublingual immunotherapy as a viable treatment approach. The ARIA paper also indicates that not only is there more modern research on sublingual immunotherapy compared to subcutaneous immunotherapy, but it is also of higher quality in terms of WHO guidelines for research studies. A Cochrane Review, the most trusted, independent, evidence-based, meta-analysis organization in the world, released their analysis in 2003 and determined sublingual immunotherapy both safe and effective, and reinforced this in its 2010 update. 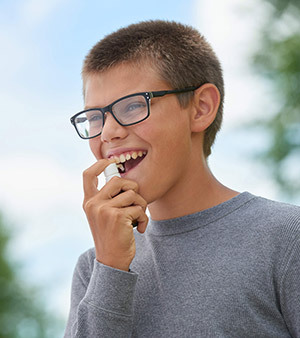 In 2013, the AHRQ study to review allergy shots and allergy drops to treat allergic rhinitis and asthma also showed numerous benefits from sublingual immunotherapy across multiple studies.